cheap material as absorber and trough with baffles improves the yield of fresh water and water .....  Shukla SK, Sorayan VPS. âThermal modeling of solar. still with sand heat energy storage for improving the yield of fresh water. Yield of the solar still depends on the type of energy storage material used in the basin. Grabowska A, Herman A, Nowicka A, Szatkowska I, Szelag. E. Individual differences ... 655-63. 24. Amirjani N, Ashworth NL, Gordon T, Edwards DC, Chan. KM. temperature, tool wear and metal removal rate during hard milling of 100MnCrW4 (AISI O1) tool steel ... adopted optimization method was proved to be feasible. degradation of grease service life. Lee and Amarnath (2014) conducted experimental investigations to evaluate the surface fatigue wear failure of spur gear. Jan 11, 2010 - world, having its origins in the late 1930's. In just over half a century, the ... jazz combos, and most other forms of music (Lewis et al., 2005). information about the laser beam welding process. This paper describes two different cases where high speed imaging has given new insights into the laser. been conducted on the 304L stainless steel in many cutting configurations .... different aspects in stainless steel machining as tool wear in order to predict the. Abstract Last years analytical or finite element models of milling become more efficient and focus on more physical aspects, nevertheless the milling process is still experimentally unknown on a wide range of use. This paper propose to analyse with accuracy milling operations by investigating the cutting forces values, shape of cutting forces curves obtained for different cutting speeds, and related phenomena as tool wear or tool run-out. These detailed experimental data in milling constitute a suitable experimental basis available to develop predictive machining modelling. All the tests have been conducted on the 304L stainless steel in many cutting configurations and for different tool geometries. The machinability of the 304L stainless steel with different tools geometries and configurations in shoulder milling is defined by three working zones: a conventional zone permitting stable cutting (low cutting speed; under 200-250 m.min-1), a dead zone (unfavourable for cutting forces level and cutting stability; between 250 and 450 m.min-1), and a high speed machining zone (high cutting speed; up to 450-500 m.min-1). All the used criteria (cutting forces, chips, wear) confirm the existence of these different zones and a correlation is proposed with cutting perturbations as run-out, cutting instability, ploughing and abrasive wear. Keywords: Machinability, High-speed milling, Cutting forces, Tool run-out, 304L stainless steel. and improve numerical model predictivity in turning simulation as in Bonnet et al. . Last years analytical or finite element models of milling become more efficient and focus on more physical aspects, nevertheless the milling process is still experimentally unknown on a wide range of use in literature. Now, it seems interesting to improve the predictive capacity of these models on a wide machining range. Milling experiments in many conditions are necessary to analyse, to understand and to quantify the experimental phenomena with for example the help of cutting forces measurement directly during milling operations. The works related in the present paper describe a set of milling tests lead on a common stainless steel (AISI 304L). The aim consist to analyse the material behaviour in a wide range of machining conditions, from low speed to high speed machining, in order to obtain a wide experimental knowledge of the machinability of this steel in milling. In this work, the analysis essentially leans on the direct measure of cutting forces during the milling operations and examination of the classical machining results (chips, wear, surface integrity…). The final aim consists to build an accurate experimental basis to develop and improve analytical and finite element models of milling on a wide range of use. represents today 80 % of the world-wide stainless steel market but austenitic stainless steels are usually considered as quite difficult to machine. Actually stainless steel are commonly machined with a maximal cutting speed equal to 250 m.min-1 but this limit increases continually with improvements in machine-tools and tools design. The machinability of this steel is more difficult than other alloy steels due to low heat conductivity, high built-up edge tendency and high deformation hardening. The 304L stainless steel has a face centred cubic structure, and it is composed of purely austenitic phases but a mechanical solicitation creates carbide and martensite ’. The chemical composition of the material used for experiments is related in Table 1. Table .1. Chemical composition of the machined 304L stainless steel. Table .2. Material parameters associated to the Johnson-Cook law defined for the 304L stainless steel. Table .3. Material parameters associated to the modified Merchant law for the 304L stainless steel. In results exposed in the paper obtained with analytical model, the material behaviour is described with a Johnson and Cook constitutive law (1) (Johnson and Cook, 1983)  and a modified Merchant law . The parameters related in Table 2 and Table 3 are identified with an inverse method based on an objective function build with the measured and numerical cutting forces [30-31]. Where A corresponds to yield strength, B and n corresponds to the hardening coefficients, C defined the strain rate sensitivity, and m defined the temperature dependency coefficient. T f and T0 are respectively the melting temperature and the ambient temperature. Where  f and  f are respectively the average friction angle and friction coefficient at the tool/chip interface,  n corresponds to the normal rake angle defined by the tool geometry and local direction of cutting velocity. A1 and A2 parameters depending of the machined material. All the milling tests described in this paper were performed at ENSMM (Engineering School in Mechanics and Microtechnics) in Besançon, on a three axes KERN© HSPC2525 micro-milling machine. This machine allows reaching high cutting speeds (spindle frequency up to 35000 rev/min) and guaranties very good repeatability and stability of the tests due to its high rigidity (concrete polymer frame) and high precision (+/- 0.5 µm positioning). The cutting forces measurement is performed with a Kistler dynamometer 9272. Classically this product is used in drilling, but it presents a good polyvalence and especially a high frequency bandwidth. The 4 sensors of the device deliver an electric signal proportional to the loads in X, Y and Z directions and the cutting force on each axis are obtained by summation. The dynamometer is connected to a PC through a 5070 Kistler charge amplifier and a National Instruments input/output data acquisition card (sample frequency limit: 40 kHz). Then data is treated through a specific software, in which the sample frequency available is adjustable and always corresponds to an integer multiple of the tooth path frequency. The main device characteristics are exposed in Table 4. Table .4. Characteristics of the Dynamometer Kistler 9272. The samples in 304L stainless steel have been machined with a wire EDM process from extruded and hyperquenched bars furnished by Thyssen France. The samples length was chosen in order to have the centre of the tool path in a stabilised machining zone (geometry and setting are exposed on Figure 1). The sample is fixed on the dynamometer through an aluminium part in order to fix properly the sample and to reduce the weight to keep the frequency range. With these cautions and checking good positioning, the solicitations on sensors are balanced and a good operating is assured. Fig .1. Assembly of the samples used for the experiments and pictures of the milling acquisition systems. The validity range of the cutting forces measurements is described by the cutting speed range available with our acquisition system. Figure 2 exposes the experimental system limits but also describe the actual technological difficulties to reach high cutting speed in milling. The case of a milling operation with a 6 mm diameter end mill is considered accordingly to the experiments. The first limit consists to keep at minimum 20 sample points by tooth to obtain a good description of the cutting forces curves. This first condition determined by the maximal frequency of the acquisition card, limit the experimental range to a maximal cutting speed of 1130 m.min-1. Then, two technological limits appear: the acquisition frequency maximal limit of the dynamometer and the limit of the machine spindle. It is very important to perform the tests below the frequency limit of the dynamometer, that's why we pay attention in our experimental test to keep a gap of 30 % in order to avoid measurement errors due to amplification. The machine spindle impose the more severe criterion in this configuration and the maximal cutting speed reachable experimentally is 660 m.min-1. A topo-microscope Alicona has been used for qualitative and quantitative analyses of machined samples. This device is designed to perform optical measures without contact in three dimensions. It is based on an optical microscope coupling with a camera. Topo-microscopy is combination of two types of measure: microscopy and micro-topography. It is possible from obtained high resolution juxtaposed 3D fields to perform measure of dimensions, topography, waviness profile, roughness, surfaces and volumes. Fig .3. Characteristics of tools used in the experiments. In this study, tools are solid cutters made in tungsten carbide coated or uncoated. The mills have been specifically chosen for their good dynamic balancing and good symmetry of cutting edges. The both aspects permit to respect the tool engagement induced by the feed, to avoid the amplification of the radial tool runout and to reduce vibration phenomena induced by a high spindle frequency. All mills used in experiments have a 6 mm diameter and two teeth in order to simplify the interpretation of cutting forces curves in function of the tool engagement in matter. At the beginning, tests have been led on with coated and uncoated end mills commercially proposed for such applications. The uncoated ones present the benefits to homogenize and simplify the experimental observations. Then, bull nose end mills have been tested for their robustness and to reach higher feed values. The cylindrical end mills (noted mill A) and the bull nose end mills (noted mill B) have been provided by two different manufacturers. The mills characteristics are described and exposed in Figure 3. Table .5. Milling tests performed. about machinability of the tested 304L steel. All tested parameters are summed up in Table 5. All tests have been performed in slotting or shoulder milling in down and up cutting configurations. In all milling tests the tool engagement is defined with an axial depth of cut of d a = 1 mm and the radial depth of cut of d r = 3 mm (semi immersion) for the shoulder milling tests. The blue colour is used for transversal forces Fx . The red colour is used for feed forces Fy . The green colour is used for vertical forces Fz . local forces on the tool change and the non shearing phenomena at tool end increase. The case considered corresponds to a mill with two teeth, but conclusions can be easily generalised for a mill designed with one, three or more teeth. A spectral analysis has been conducted on each test in order to verify that measures are not disturbed by unexpected frequencies. We are able with this protocol to have a good correlation and interpretation of cutting forces curves with the tool engagement in matter. The stage 1 corresponds to the entrance of the tooth in matter, and in slotting configuration it begins with a chip thickness close to 0 mm. On cutting forces curves, Fy becomes negative when Fx becomes positive and come back quickly to negative values. This phenomenon is due to projection of the forces on the relief face of the tool in contact with the machined surface, and this is characteristic to the tool entrance in matter. The stage 2 is the critical place for the feed force Fy . Indeed this step is characterised by the maximal negative value on Fy and a decrease to negative values on Fx . The stage 3 corresponds to the maximal loading zone, in this zone the tooth removes a maximal thickness of matter equal to the feed f t , and the deformed volume of material is maximal. This step is characterised by the maximal negative value on transverse force Fx and by the annulment of the feed force Fy . The stage 3 is the critical place for the force Fx . Usually, this step corresponds also to the maximal value of the vertical force Fz . The stage 4 is symmetric to the stage 2. This step is characterised by the maximal positive value on Fy and a force Fx tending to zero. The virtual stage 5 corresponds to the outgoing of the tooth in matter. Both forces Fy and Fx are close to zero corresponding to the end of the cutting cycle for the first tooth. In case of slotting with a two teeth end mill, the curves begin immediately another identical cycle with the second tooth as related in Figure 6 (a). difference observed on the curves. For a mill with more than two teeth, the interpretation would not be easy but the same tendencies will be observed on the resultant force on the tool. This analysis allows having a better understanding to analyse the experimental curves. Figure 6 exposes four sets of cutting forces curves for a mill rotation (two tooth paths in this case). The first cutting forces curves noted (a) are calculated analytically with the material parameters previously exposed and with the same cutting conditions than the cutting forces curves (b) that is to say for a low cutting speed. Cutting forces curves (c) and (d) are chosen respectively for a middle cutting speed and for the higher cutting speed tested in slotting. The curve shapes obtained analytically in a rigid case are equivalent for the three cutting speeds and only the forces level slightly decreases. The best correlation is obtained for the cutting forces curves (b) with the lower cutting speed. In slotting configuration, the tool motion is balanced by the guiding of the slot, and the tool globally respects a motion close to the rigid case considered in machining models. Only some medium cutting speeds imply cutting instabilities and then cutting forces amplification, for example for 310 m.min-1. Fig .7. Tool engagement, tooth path, cutting forces curves characteristics in up cutting configuration. The stage 1 corresponds to the entrance of the tooth in matter, and in this case begins by a thickness equal to 0 mm. For this step same interpretations than in slotting configurations can be considered. The stage 2 is the critical place for the feed force like in slotting configuration. One more time the stage 3 corresponds to the maximal loading zone. In this position the tooth removes a maximal thickness of material equal to the feed f t (only in case of semi-immersion). The stage 3 is the critical place for the transverse force Fx and the split-up of the chip. Just after this stage, the chip is removed, and the tooth comes outside the matter, a nickpoint appears on curves, the cutting forces increase quickly to value zero. In this zone the chip separation mode and the tool geometry have a high influence. And lots of phenomena (wear, vibrations…) are initiated in this zone due to the fast change of loading on the tool. The stage 4 is characterised by the annulment of the three cutting forces. In this step no tooth is not in contact with matter and the three cutting forces are equal to 0 as related in Figure 7. Fig .8. Qualitative comparison of cutting forces curves in shouldering configuration (up cutting) with mill A. (a) rigid case obtained analytically. (b) cutting speed equal to 70 m.min-1. (c) cutting speed equal to 370 m.min-1. (d) cutting speed equal to 650 m.min-1. (ft = 0.03 mm.tooth-1, dr = 3 mm, da = 1 mm). analytical modelling gives a good description of cutting forces. For higher cutting speeds, some stages disappear. For instance on chart (c) there is no continuous zero value and on (d) the nickpoint has disappeared, the curves are sinusoidal and the cutting process seems to be continuous. Cutting forces curves (d) seems to present the same curve shapes than in slotting operations. Actually, rigid machining models are not able to be predictive in this machining zone. Vibrations phenomena and flexible behaviour of the tool have to be considered in modelling in order to reach high speed milling zones. Fig.9. Tool engagement, tooth path, cutting forces curves characteristics in down cutting configuration. The stage 1 corresponds to the tooth entrance in matter, and it begins by a maximal thickness equal to f t in radial semi-immersion. It corresponds to the maximal loading zone. Nickpoints are observed on three cutting forces curves corresponding to the fast entrance in matter and to the particular form of the first undeformed chips because of the presence of the straight initial workpiece surface. This step are characterised classically by a maximal negative value on transverse force Fx and a decrease of feed force Fy . This negative value of feed force is mainly due to the projection of forces on the tool relief surface and induced by the tool/matter interface. This step is the critical place for the transverse force Fx . The stage 2 corresponds to the feed force Fy annulment and to the beginning of the Fx force decrease. The stage 3 is characterised by the maximal positive value on feed force Fy , it is the critical place for the feed force Fy . The stage 4 is characterised by the annulment of the three cutting forces. In this step no tooth is in contact with matter. As previously, Figure 10 describes four sets of cutting forces curves in down cutting configuration. There is a good correlation for low cutting speeds with the assumption of an undeformable tool. Between 0 and 230 m.min-1 in this case, the analytical model predict well the cutting forces. Between 0 and 230 m.min-1 in this case, the analytical model predict well the cutting forces. Fig.10. Qualitative comparison of cutting forces curves in shouldering configuration (down milling) with mill B. (a) rigid case obtained analytically. (b) cutting speed equal to 70 m.min-1. (c) cutting speed equal to 310 m.min-1. (d) cutting speed equal to 590 m.min-1. (ft=0.045mm.tooth-1, dr= 3 mm, da= 1 mm). milling with up and down cutting configurations (semi radial immersion d r = 3 mm) and with a constant axial depth of cut ( d a = 1 mm). This analysis focus on the machinability of 304L stainless steel and its behaviour for different tools and in a wide range of cutting speeds. The main criterion is the influence of tools and cutting conditions on the measured cutting forces. In the following section, the average peak-to-peak amplitude values of transverse forces Fx and feed forces Fy are identified in the stabilised zone and are related in function of cutting speed and feed tested in different cutting configurations as shown in Figure 4. In both cases (coated and uncoated mill), cutting forces values increase globally proportionally to the feed. On all curves, three working zones are observed: a first zone for small cutting speeds where cutting forces are constant or presenting a light decrease; then a critical second zone where the cutting forces increase strongly appears; and finally a third zone with high cutting speeds where cutting forces decrease strongly and reach values lower than in first zone. On all curves, the secondary zone is less favourable and is more critical for high feed values. Fig.11. Cutting forces average amplitude evolutions function of cutting speed in up cutting configuration for coated and uncoated end mills A.
Classically and as seen before, in both cases cutting forces values increase proportionally to the feed. But for the both highest feeds, difference is not significant. As seen before and in both cases, criticity of the secondary zone directly depends on feed value. In down cutting configuration, the lower feeds seem to be unfavourable for the tool, because the cutting forces in first zone reach the same values than for the maximal feeds. On these curves, three working zones are observed: a first zone with quite low cutting forces; a critical second zone where these forces increase strongly; and a third zone with high cutting speeds where cutting forces decrease rapidly. In both cases the critical zone has not been observed for the transverse forces Fx . The critical zone exists for the feed forces Fy only in up cutting configuration. Transverse forces describe in second machining zone a stable zone slightly decreasing. This effect is probably due to the bull nose end mill geometry that gives a better resistance to high loading on teeth. With bull nose end mill the critical machining zone is not a problem for the transverse forces Fx . Fig.12. Cutting forces average amplitude evolutions function of cutting speed in up cutting configuration for end mills B. In down cutting, the critical zone becomes a stable zone with values equivalent to the first and third zones. This machining zone is not as critical as in the other cases. The shoulder milling in down cutting configuration has showed the best behaviour on the tested cutting speeds range. Fig.13. Cutting forces average amplitude evolutions function of cutting speed in down cutting configuration for end mills B.
component of the generated force tends to grow and the tangential one tends to decrease. These local modifications of cutting force amplitude and direction can change the repartition in force value between feed direction and transverse direction in milling. This observation is particularly evident in micro-milling where the sharpness of the tool is critical . The previous results in up-cutting mode (figures 11 & 12) show that mill B tends to present this behaviour and not the mill A, it can be explained by the difference in tungsten carbide structure between these two uncoated mills. The micro grain tungsten carbide structure of the mill A gives to the tool a better sharpness and a better stiffness, that generate less cutting force amplitude and a repartition on reference axes closer to the theoretical rigid and perfectly sharp case, especially for intermediary cutting speeds (critical zone). To conclude, three zones seem clearly appear from the experiments: two favourable machining zones and one unfavourable machining zone. Machining zones with stable machining conditions and with reduced cutting forces are described by a conventional machining zone between 0 and 200 m.min-1 and a high speed machining zones beginning from 550 m.min-1. The critical zone with severe cutting forces is described by a dead zone between 200 and 500 m.min-1. Many phenomena have to be noted. Firstly, in up cutting configuration with the bull nose end mills B the dead zone is wider than for the end mills A. And in down cutting configuration with the bull nose end mills B the dead zone does not exist. Nevertheless the high speed machining zone is observed on all the experimental results. accelerated wear of the spindle bearings The radial run-out is most of the time more pronounced and more difficult to compensate dynamically by the flexibility of the cutting system (tool + tool-holder) than the axial run-out. For example, modelling the radial run-out only usually permits to predict accurately the cutting forces unbalance . That is the reason why we focus specifically on the radial default in the following works. two times the value of eccentricity. The setting up is related in Figure 3. The tool run-out is here located by an eccentricity value e and an angular position of the maximal defect on the tool cylinder, like on the sketch related in Figure 14. For all the experimental tests in milling, the measured tool run-out took values between 2 µm and 5 µm. during our experiments the maximal value of measured overloading exceeds 50 % of the average cutting forces. After experimental analysis, the behaviour of this additional loading has been observed in function of tool run-out values and cutting speeds, and the results are related in Figure 16. On these curves, additional loading increases in an important way with cutting speed, then the tool run-out effect seems to increase with cutting speed. Moreover the additional loading increases linearly with the tool run-out values and increases globally with cutting speed. For high cutting speeds and due to dynamic effects, the tool run-out phenomenon can become a critical point for tool behaviour, machined surface quality and tool wear. Chips give essential information about milling process. They are the results of the matter deformation and also the witness zone of the most intense mechanical or thermal solicitations occurring in cutting. In literature, a very few works focused on chip observations in up cutting configuration in milling. That is right that it is very difficult to make a connection between the chip geometry and its way of formation, because the final shape of a chip can be very different from the theoretical shape which can be deduced from a rigid and elementary case. In turning, this difference is reduced, so it is easier to conclude. In this analysis, the aim not consists to compare a real chip with a chip in a theoretical case, but rather to observe differences and evolutions in chip morphology in function of machining parameters. A first qualitative analysis is here proposed, and then completed in analysing the evolutions of chip length and thickness. Fig .18. Characteristic shape of a chip obtained after semi-immersion milling tests. Firstly, the chip length is always smaller than the theoretical length which can be deduced from a rigid case as related in Figure 5, Figure 7 and Figure 9.
first zone of fast decrease followed by two stationary zones. The stages cutting speed limit values are different in function of the feed, but the discrepancy is relatively small. Fig .19. Evolution of chip thickness and length function of cutting speed for three values of feed. begin with a chip thickness close to 0 mm and finish with a theoretical chip thickness equal to f t (Figure 7). The real geometry is very far of the rigid case, because the shearing due to the cutting process induces a lot of compression in length direction and of spreading in thickness direction. The average thickness has been calculated and added to describe the evolution in global way. On these curves, the same behaviour than for the chip length is observed: a first zone of decrease followed by two stationary zones. It is easy to compare these results with the results obtained on machinability curves. In both cases, three stages are observed with the same limit in terms of cutting speed values. Moreover this analysis put in evidence a high cutting speed zone where the chip formation seems to be characterized by low chip length and thickness and then a high material compression occurring during chip formation. To conclude, the milling process implies a favourable high speed machining zone which is characterised by lower cutting forces and a different way of chip formation. It corresponds to remarks often made in literature but it deserves to be shown experimentally for milling . On all the experiments, the wear of mills has been analysed in a qualitative way by comparing the mill after the test with a new one, It was choosen in this section to relate the measurements for the mills A in Figure 20 and Figure 21 for a cutting speed of 500 m.min-1 and different feed rates. All observations have been performed with the topo-microscope Alicona. Fig .20. Characteristic wear of mills for different feed rates. For low feed rates, an important abrasive wear is observed on the relief face of the mill. For higher feeds, abrasive wear is reduced but a radius tends to appear at the extremity of the end mills A for high cutting speeds. Moreover, the relief face presents an irregular wear with cracks and craters. For the highest feed (i.e 0.06 mm.tooth-1) and moderate cutting speeds, some teeth of end mills broke suddenly. For high cutting speeds, the coating of mills is usually fast deteriorated (abrasion and delamination). Fig .21. Evolution of cutting edges sharpness for different feed rates. Results obtained with mills used for milling operation with a feed of 0.015 mm.tooth-1 are related in Figure 21 (b). The picture put in evidence the abrasive wear on the relief face of the tool. The sharpness measures have been led on the cutting edge zone engaged in matter (height between 0 mm and 1 mm along tool axis). Results indicate that the wear at the tool extremity is very important. In this zone, mill has lost 10 µm of sharpness. In the other hand, low feeds seem to create less wear in height between 0.5 mm and 1 mm where sharpness is about 27 µm in low zone and 32 µm in high zone. Moreover low feeds seem to create a very important abrasive wear on the relief face of the tool. The influence of high cutting speed appeared only on abrasive wear of the relief face in this case. Results obtained with mills used for milling operations with a feed of 0.03 mm.tooth-1 are related in Figure 21 (c). Measurements show a severe wear of the cutting edge. The wear seems to be more critical due to the high value of feed particularly when high cutting speeds are reached. At the extremity of the tool, sharpness of 49 µm has been measured and in this zone the cutting edge is chamfered by wear. Some cracks and craters are generated during machining on the relief face at tool extremity and this phenomenon becomes very important for high cutting speeds. Then cutting edge has a sharpness of 45 µm, but at a height near to 1 mm the value is about 38 µm and in this zone the wear seems to be still restrained. From these measurements no significant wear is observed on the rake face of the tool, even for high cutting speeds. These analyses put in evidence different wear phenomena and allow quantifying the quick reduction of the cutting edges sharpness in many feeds and for the high speed machining zone. Results have shown that dominant wear phenomena depend to feeds and cutting speeds values. These investigations can provide a relevant sharpness value to finite element or analytical model developers. Fig .22. Representative machinability of the tested 304L stainless steel in milling (feed rate 0.045 mm.tooth-1, end mill A 2 teeth micro grain tungsten carbide, diameter 6 mm, da 1 mm, dr 3 mm) . milling models as demonstrated in previous work (Maurel-Pantel et al., 2008) . In analytical or finite element models developed by our team and using rigid tool assumption have shown their limits to reproduce the cutting forces curves measured at high cutting speeds. In machining models actually, the dynamics and thermo-mechanical coupling introduced by high cutting speed are not taken into account. These detailed experimental data in milling constitute a suitable experimental basis available to develop predictive machining modelling. Now the characterisation of cutting dynamics become a major experimental challenge in high speed milling or in micro milling. And It becomes also a challenge in modelling to develop predictive analytical of finite element models at high cutting speeds in milling. Acknowledgements The CETIM foundation is greatly acknowledged for providing the PhD grant support to Dr A. Maurel-Pantel in the PGV project. These works were carried out in the context of the working group Manufacturing 21 which including 18 French laboratories. Targeted issues are the modelling and the optimization of manufacturing processes and the innovation in the field of mechanical manufacturing. Thanks to F. Gaillard from DIAGER Industry® for his help in choosing and obtaining tools. References 1. Merchant M (1945) Mechanics of the metal cutting process, i. orthogonal cutting, Journal of Applied Physics 16:267-275. 2. Oxley P (1963) Mechanics of metal cutting. ASME 50-60. 3. Ceretti E, Fallbohmer P, Wu W, Altan T (1996) Application of 2D FEM to chip formation in orthogonal cutting. Journals of Materials Processing Technology 59:169-180. 4. Baker M (2005) Finite element investigation of the flow stress dependence of chip formation. Journals of Materials Processing Technology 167:1-13. 5. Kline WA, DeVor RE, Lindberg JR (1982) The prediction of cutting forces in end milling with application to cornering cuts. International Journal of Machine Tool Design and Research 22-1:722. 6. Yellowley I (1985) Observations of the mean values of forces, torque and specific power in peripheral milling process. International Journal of Machine Tool Design and Research 25(4):337346 7. Yang M, Park H (1991) The prediction of cutting force in ball-end milling. International Journal of Machine Tools and Manufacture 31(1):45-54. 8. Altintas Y, Lee P (1996) A general mechanics and dynamics model for helical end mills. CIRP Annals – Manufacturing Technology 1: 59-64 9. 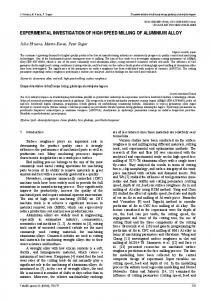 Engin S, Altintas Y (2001) Mechanics and dynamics of general milling cutters. Part I: helical end mills. International Journal of Machine Tools and Manufacture 44:2195-2212. 10. 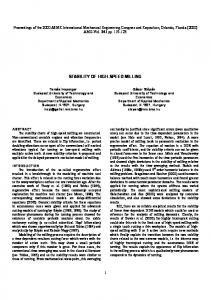 Engin S, Altintas Y (2001) Mechanics and dynamics of general milling cutters. Part II: inserted cutters. International Journal of Machine Tools and Manufacture 41:2213-2231. 11. Zhu R, Kapoor SG, DeVor RE (2001) Mechanistic modelling of the ball end milling process for multi-axis machining of free-form surfaces. Transactions of ASME, Journal of Manufacturing Science and Engineering 123:369-379. 12. Fontaine M, Devillez A, Moufki A, Dudzinski D (2006) Predictive force model for ball end milling and experimental validation with a wavelike form machining test. International Journal of Machine Tools and Manufacture 46:367-380. 13. Molinari A, Dudzinski D (1992) Stationnary shear band in high speed machining. C.R. Académie des Sciences de Paris 315:399-405. 14. Dudzinski D, Molinari A (1997) A modelling of cutting for viscoplastic materials. 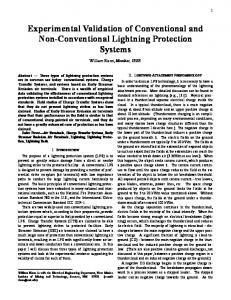 International Journal of Mechanical Science 39:369-389. 15. Moufki A, Devillez A, Dudzinski D, Molinari A (2004) Thermomechanical modelling of oblique cutting and experimental validation. International Journal of Machine Tools & Manufacture 44(9):971-989. 16. Zeroudi N, Fontaine M, Necib K (2010) Prediction of cutting forces in 3-axes milling of sculptured surfaces directly from CAM tool path. Journal of Intelligent Manufacturing, 15:1-15. 17. Zeroudi N, Fontaine M (2012) Prediction of machined surface geometry based on analytical modelling of ball-end milling. Procedia CIRP 1:108-113. 18. Shao H, Liu L, Qu HL (2007) Machinability study on 3%Co-12%Cr stainless steel in milling. Wear 263:736-744. 19. D’Errico GE, Bugliosi S, Guglielmi E (1998) Tool-life reliability of cermet inserts in milling tests. International Journal of Materials Processing Technology 77:337-343. 20. Maurel-Pantel A, Fontaine M, Thibaud S, Gelin JC (2012). 3D FEM simulations of shoulder milling operations on a 304L stainless steel. Simulation Modelling Practice and Theory 22:13-27. 21. Tekiner Z, Yesilyurt S (2004) Investigation of the cutting parameters depending on process sound during turning of AISI 304 austenitic stainless steel. Materials and Design 25:507-513. 22. O’Sullivan D, Cotterell M (2002) Machinability of austenitic stainless steel SS303. International Journal of Materials Processing Technology 124:153-159. 23. Salak A, Vasilko K, Selecka M, Danninger H (2006) New short time face turning method for testing the machinability of PM steels. International Journal of Materials Processing Technology 176:62-69. 24. Senthil Kumar A, Raja Durai A, Sornakumar T (2006) The effect of tool wear on tool life of alumina-based ceramic cutting tools while machining hardened martensistic stainless steel. International Journal of Materials Processing Technology 173:151-156. 25. Akasawa T, Sakurai H, Nakamura M, Tanaka T, Takano K (2003) Effects of free cutting additives on the machinability of austenetic stainless steels. International. Journal of Materials Processing Technology 143-144:66-71. 26. Valiorgue F, Rech J, Hamdi H, Bonnet C, Gilles P, Bergheau JM (2008) Modelling of friction phenomena in material removal processes. International Journal of Materials Processing Technology 201:450-453. 27. Valiorgue F, Rech J, Hamdi H, Gilles P, Bergheau JM (2012) 3D modeling of residual stresses induced in finish turning of an AISI304L stainless steel, International Journal of Materials Processing Technology 53:77-90. 28. Bonnet C, Valiorgue F, Rech J, Claudin C, Hamdi H, Bergheau JM, Gilles P (2008) Identification of a friction model-Application to the context of dry cutting of an AISI 316L austenetic stainless steel with a TiN coated carbide tool. International Journal of Machine Tools and Manufacture 48:1211-1223. 29. Johnson GR, Cook JR (1983) Constitutive model and data for metals subjected to large strains, high strain rates, and high temperatures. Proceedings of 7th Symposium On Ballistics, Netherlands. 30. Maurel-Pantel A, Michel G, Thibaud S, Fontaine M, Gelin JC (2008) 3D FEM simulations of milling on a 304L stainless steel. Steel Research International 79(2):726-733. 31. Maurel A, Fontaine M, Thibaud S, Michel G, Gelin, JC (2008) Inverse Method for Identification of Material Parameters Directly from Milling Experiments. International Journal of Material Forming 1:1435-1438. 32. Fontaine M, Devillez A, Dudzinski D (2007) Parametric geometry for modelling of milling operations. International Journal of Machining and Machinability of Materials 2:186-205. 33. More AS, Jiang W, Brown WD, Malshe AP (2006) Tool wear and machining performance of cBN–TiN coated carbide inserts and PCBN compact inserts in turning AISI 4340 hardened steel Journal of Materials Processing Technology 180(1–3):253–262. 34. Chandrasekaran H, Johansson JO (1994) Chip Flow and Notch Wear Mechanisms during the Machining of High Austenitic Stainless Steels CIRP Annals - Manufacturing Technology Volume 43(1):101–105. 35. Gilbin A, Fontaine M, Michel G, Thibaud S, Picard P (2013) Capability of tungsten carbide micro-mills to machine hardened tool steel International Journal of Precision Engineering and Manufacturing 14(1):23-28. 36. Fontaine M, Moufki A, Devillez A, Dudzinski D (2007) Modelling of cutting forces in ballend milling with tool-surface inclination. Part II: Influence of cutting conditions, run-out, ploughning and inclination angle. Journal of Materials Processing Technology 189:85-96. 37. Abukhshim NA, Mativenga PT, Sheikh MA (2006) Heat generation and temperature prediction in metal cutting: A review and implications for high speed machining International Journal of Machine Tools and Manufacture 46(7–8):782–800 38. Abou-El-Hossein KA, Yahya Z (2005) High-speed end-milling of AISI 304 stainless steels using new geometrically developed carbide inserts Journal of Materials Processing Technology 162–163:596–602. Report "Experimental investigations from conventional to high speed milling"